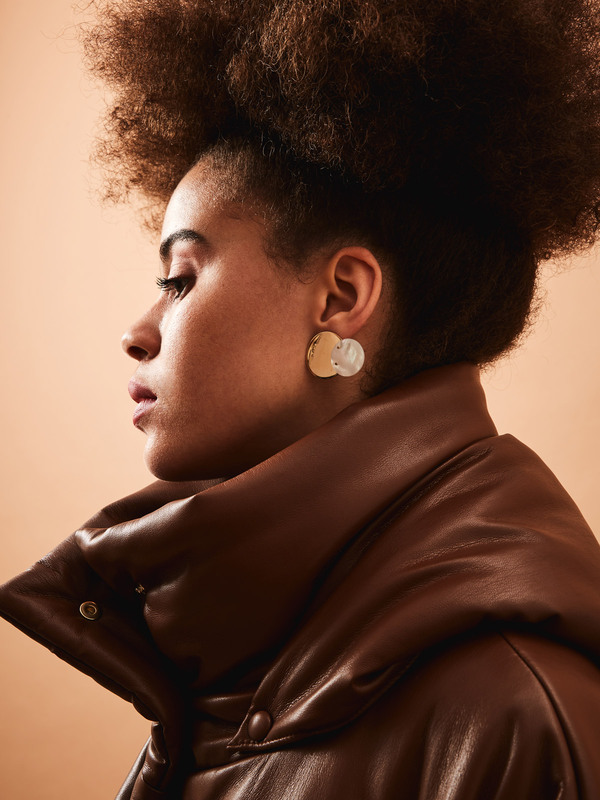 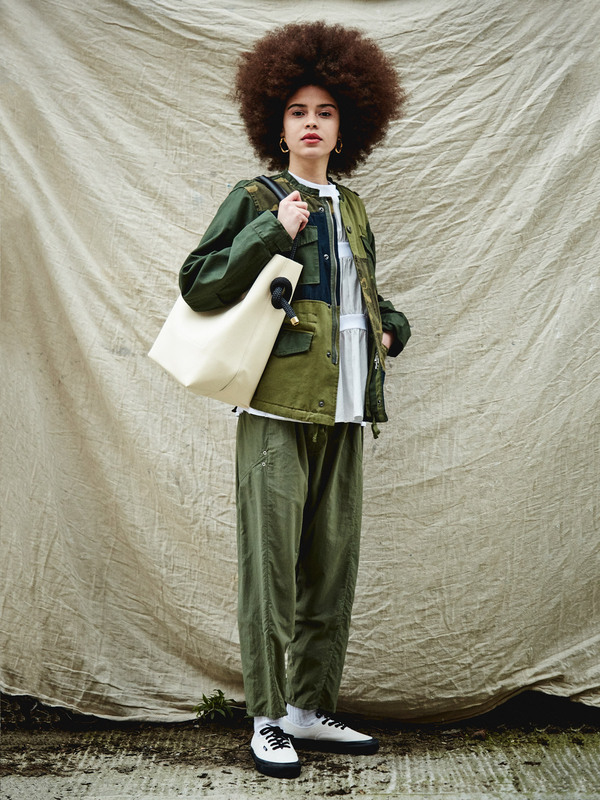 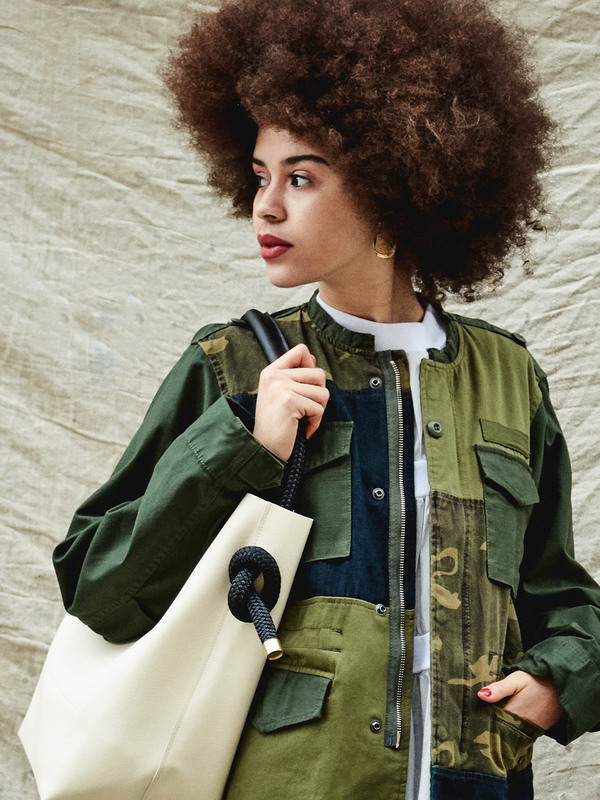 Military Patchwork Jacket, White Pleat Detail Top, Khaki Trousers, Off-White Knot Detail Bag, and Agmes Gold Vermeil Small Vera Earrings. 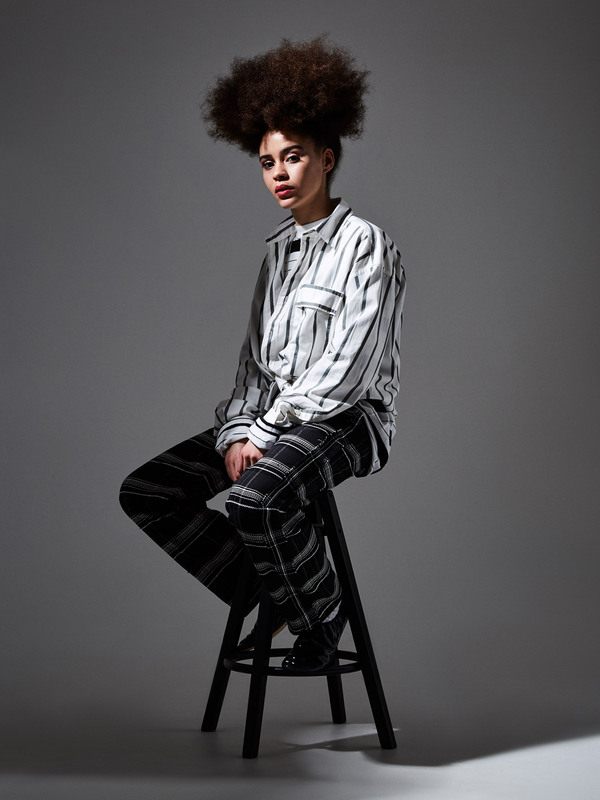 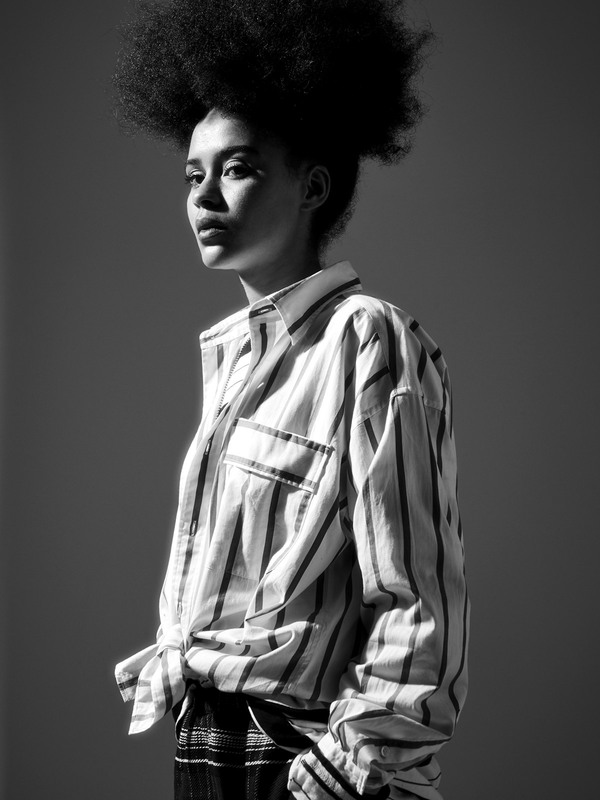 White and Grey Striped Shirt, Black and White Striped Longsleeve Top, Black and Pink Check Trousers. 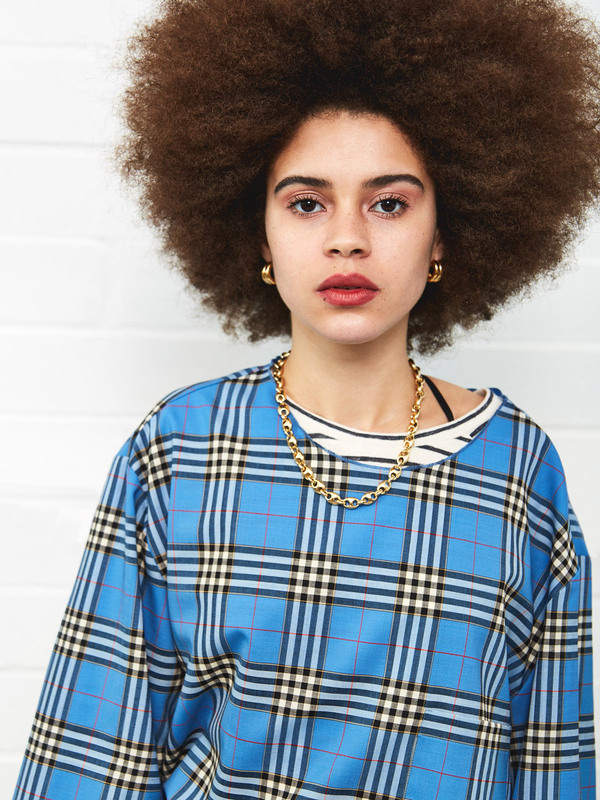 Blue Lidia Check Top, Ivory Striped Darivo Top, Blue Gemma Check Trousers, Agmes Gold Vermeil Giulia Hoop Earrings and Gabriela Artigas 14K Gold Plated Small Egg Link Choker. 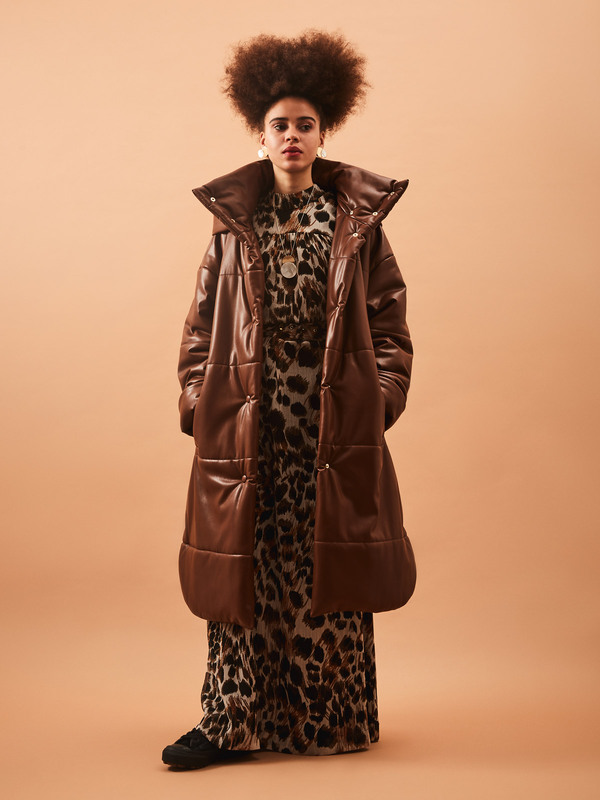 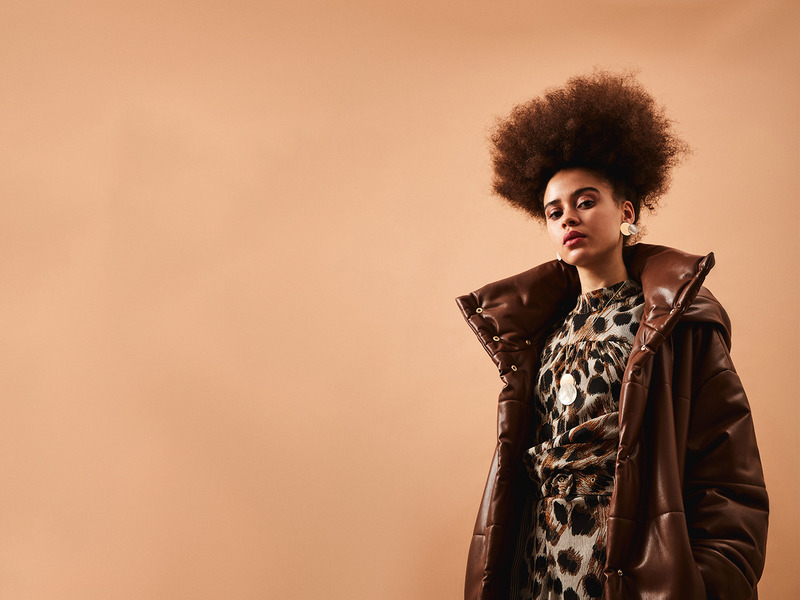 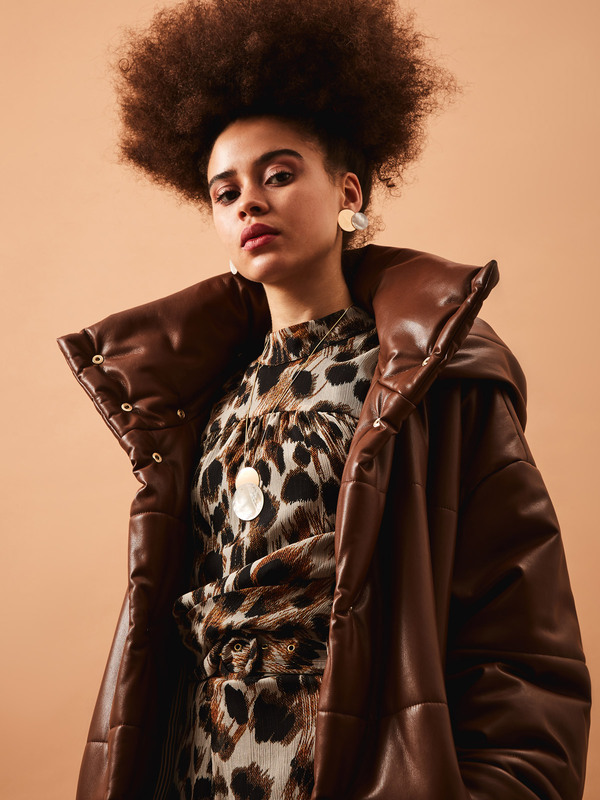 Eska Vegan Leather Padded Coat, Naamah Ocelot Print Top, Nataal Ocelot Print Skirt, Gabrial Artigas Mother Necklace, and Gabriela Artigas Mother Earrings. 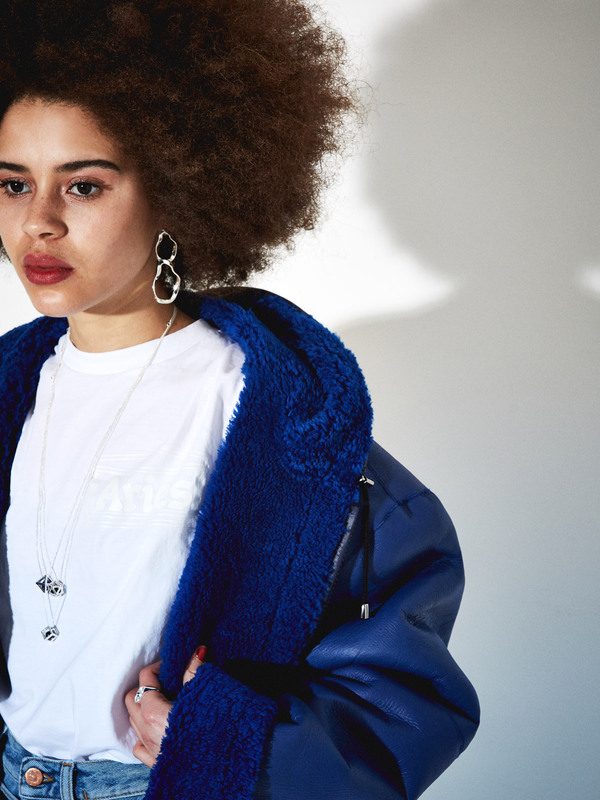 Blue Reversible Hooded Sheepskin Jacket, White Basic Temple T-Shirt, Black Made Up Belt, Pale Wash Lilly Double Waistband Jeans, Agmes Silver Viviane Earrings and Rachel Entwistle Cube, Octa and Icosa Pendants. 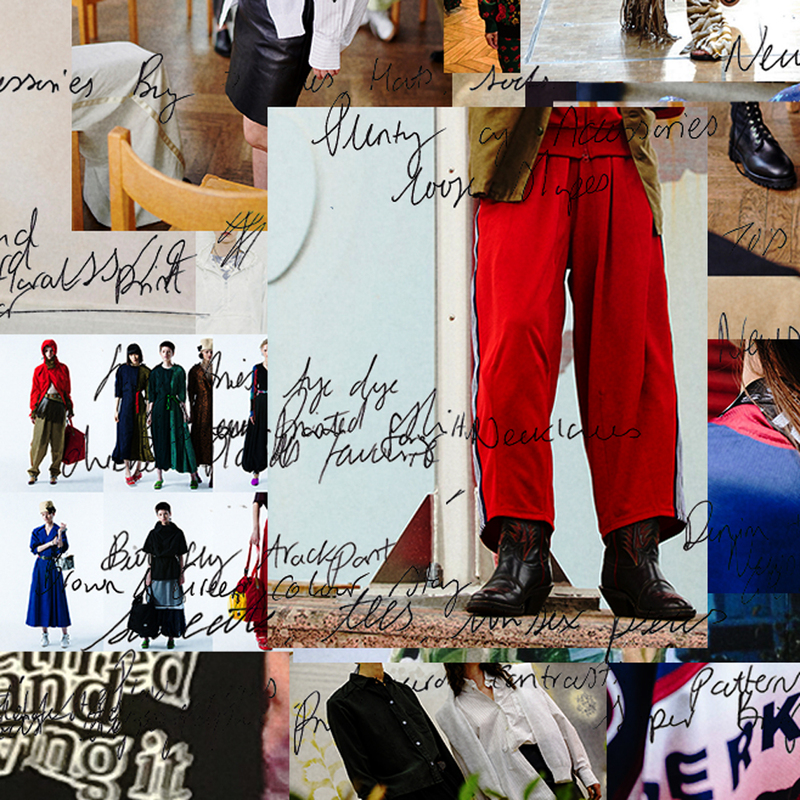 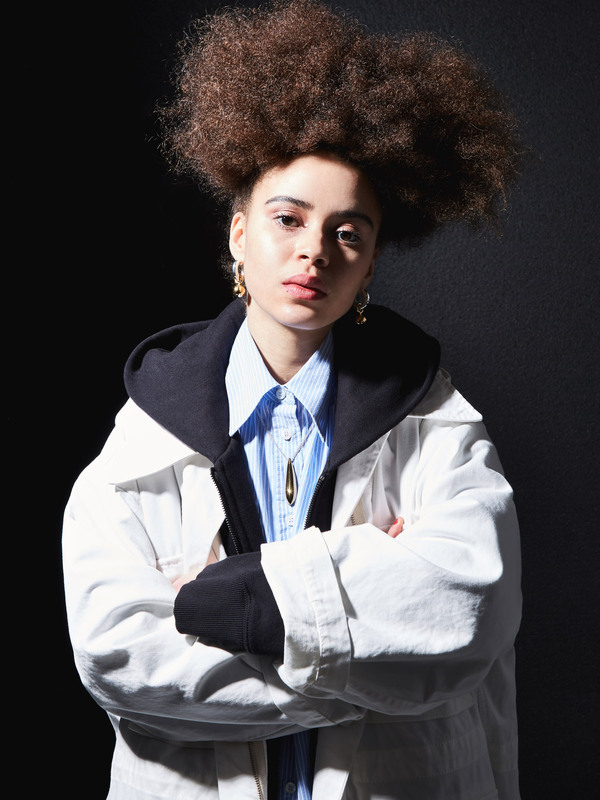 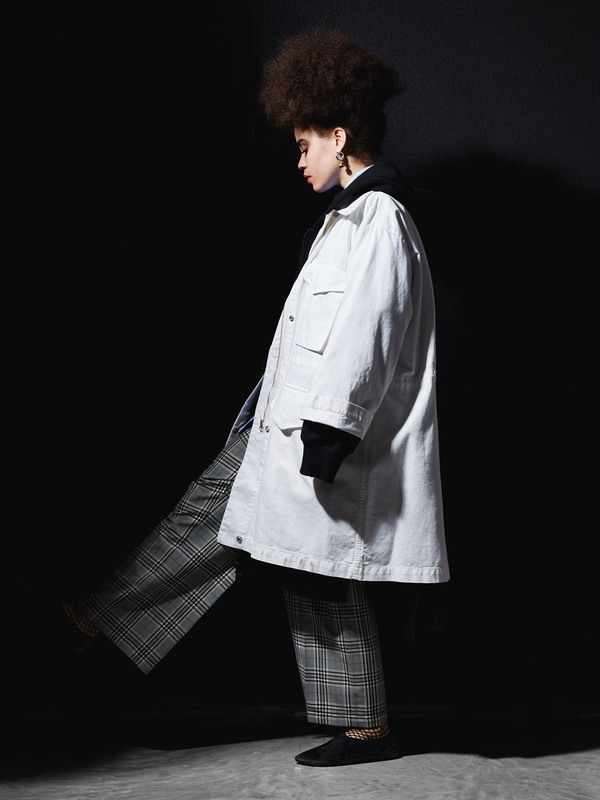 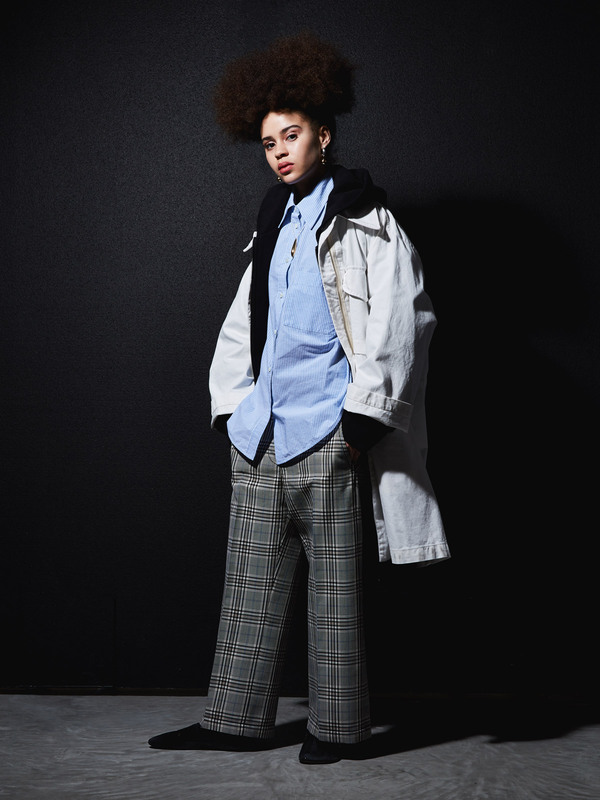 Off-White Overshirt, Black Oversized Hooded Jacket, Blue and White Circular Shirt, Check Straight Leg Trousers, Agmes Sonia Earrings, and Agmes Double Chain Audrey Pendant.